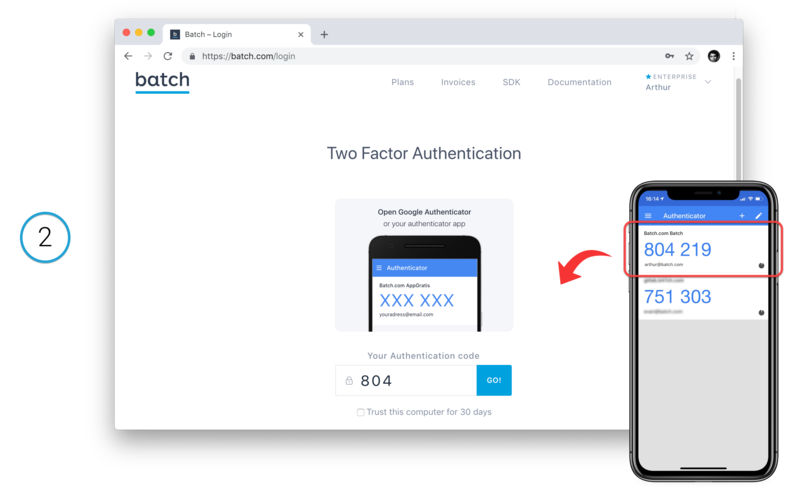 2FA (Two Factor Authentication) is the best way to secure your account from any intrusion. 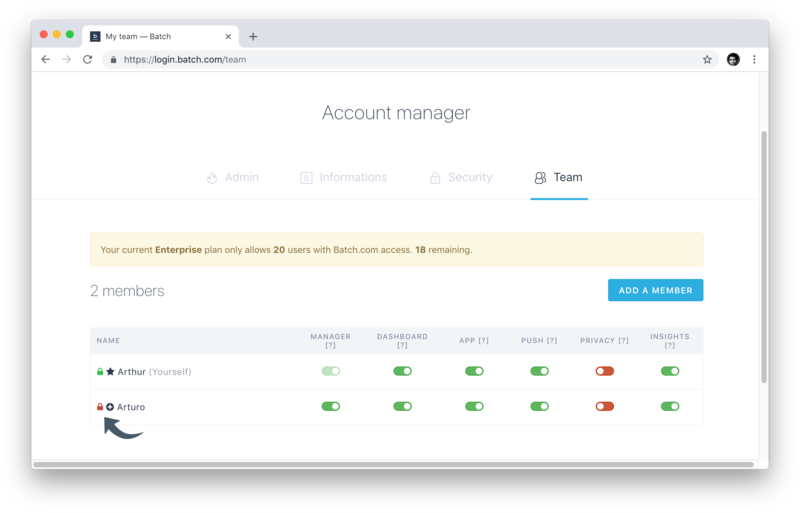 Batch allows you and your team to use 2FA to fully secure your access to the dashboard with an additional security layer. But first, what is 2FA and how does it work? 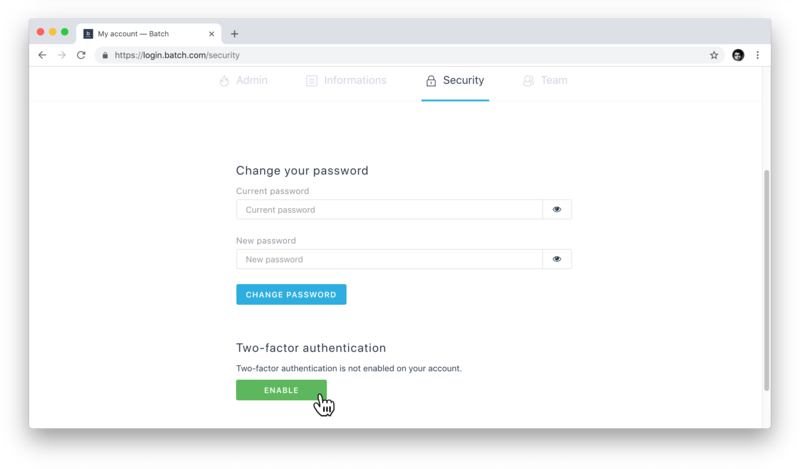 As its name suggests, 2FA allows you to add an extra step in your authentication process on a desktop website/app, via a code verification from your smartphone. Step 1: Input your password. 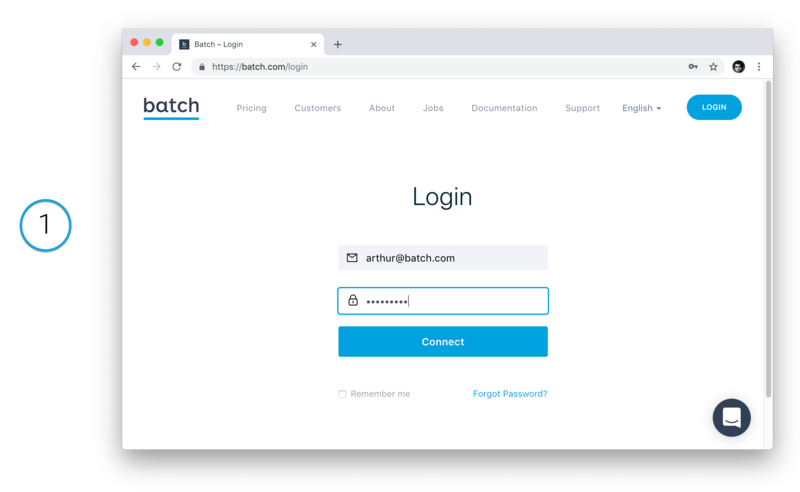 Step 2: Type the 'Batch.com' code from the 2FA Mobile app on Batch dashboard login menu. The code will change every 30sec or so. And now you're connected in a fully secure way. How to set up 2FA on Batch ? In the Security tab, click on 'Enable' under the Two-factor authentication section. Then follow the given instructions. 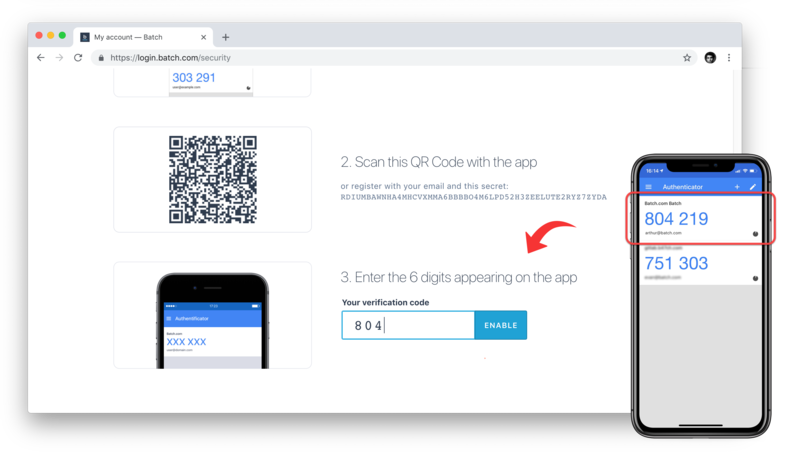 More specifically, you have to open your favorite 2FA Mobile app, add a new login, scan the given QR Code and type on Batch the code your 2FA app gives you. There you go, 2FA has been set up on your account! 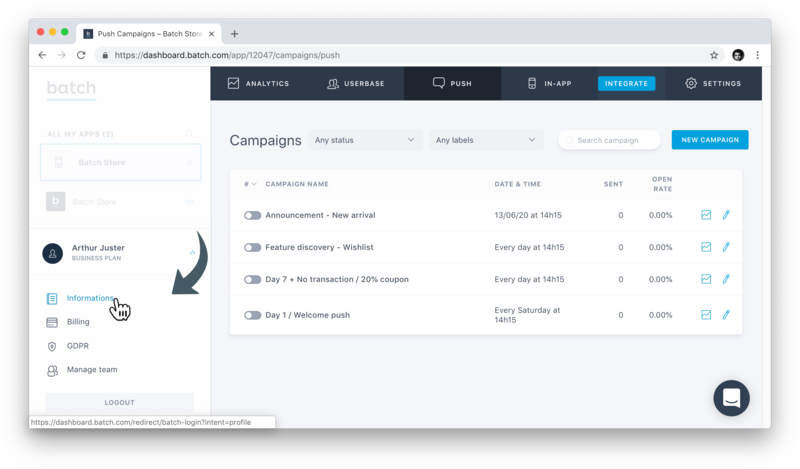 Last but not least, the Team section of the Account Manager gives your team Manager insight on who has already set up 2FA (the lock in front of the teammate name).